We are back with another issue of ‘Best of Beacons’ this Week. This week we’ve got a great lineup of beacon articles in store, right from Fujitsu’s announcement about beacon-enabling the Tokyo Parks Navi smart device app to Maxus’ report on the potential of beacons in retail. So sit back, sip a cup of coffee, and check out the stories we have lined up for you. Fujitsu is beacon-enabling the Tokyo Parks Navi smart device app and underlying systems that the company had created as a part of a new guide service system for the Tokyo Metropolitan Government. This system would make it easier for foreign tourists to navigate Tokyo’s Ueno Zoo and Hama-rikyu Gardens. This move comes as an effort to draw more tourists to Japan with a set goal to reach 30 million yearly foreign visitors by 2020, the same year it will play host to the Olympic and Paralympic Games. Both Ueno Zoo and Hama-rikyu Gardens will start with 124 and 28 beacons respectively, which will be used to trigger the app to display information on animals, reference information about the spot, or various attractions nearby. The service system is due to go live at the beginning of April. Check out this article to know more about Tokyo’s beacon-enabled service system. According to Location Based Marketing Association’s Global Location Trends Report, while 75% of marketers believe location based marketing is an important business issue for 2016, only 65% think it’s currently accurate. Hence, it is very critical to keep the value of content and the effectiveness of communication for any proximity-based messaging in mind. Among the host of technologies that brands can leverage for proximity marketing, iBeacon is definitely a great option given its ability to not only send personalized, contextual and data-driven messages to target customers but also gather valuable customer insights. 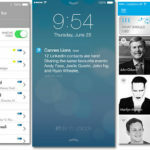 Read this post to learn 10 best practices and tips around sending beacon-based messages or notifications to customers, in order to engage them effectively and reduce the number of wasted impressions. A new report by Maxus titled Beacons – Promise, Present, Future examines the present state of iBeacon technology and its implementations. The report covers the technology, the challenges and opportunities of beacons, as well as strategies employed by beacon pioneers such as Apple and Unilever. It also looks at the deployments undertaken by Fairprice Singapore, the nation’s largest Singaporean supermarket, and the California basketball team, Golden State Warriors. 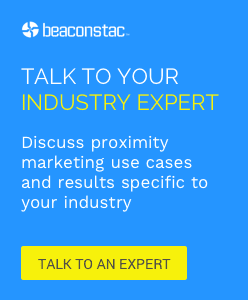 This report by WPP media agency Maxus has been created as a practical guide for brands seeking to harness the potential of beacons, by Maxus director of technology, Tom Kelshaw. Maxus’ report came out at a crucial time as Eddystone beacons now have an extended functionality to Google-Android. Check out this post on Maxus’ report to learn more. Schlafly Beer, the largest locally owned and independent craft brewery in Missouri, announced that it will be utilizing smart phone beacons, called the TapTalker, on taps starting this week. This will allow the beer maker to connect directly with its community of beer drinkers via a new mobile app called Brew Finder, right at the point of purchase. The beacon-enabled app would allow you to search for beers by beer style, area of town or even a specific location, automatically find the closest Schlafly beer to you, and drag the map to a destination of your choice to see which varieties of Schlafly beers are available. Now Schlafly fans will receive notifications about drink specials, new beer releases, tasting notes, and more via TapTalker. Attendees at Connecticut Flower and Garden Show, held in Hartford, were in for a surprise when they got the chance to receive special offers and possibly win a prize, with the beacon solution provided by advertising agency Sunrise Marketing. The objective of this beacon deployment was to draw the attention of attendees to the booths of retailers selling the Connecticut nursery supplier’s products. Attendees had to download the CT Flower Show customer loyalty app in order to avail the benefits of iBeacon technology and ultimately qualify for a chance to win a grand prize of $1,000 worth of plants from Prides Corner Farms. Read this post to learn how the organisers installed the beacons at the event and tailored content for each exhibitor.